Find a job with a recruitment agency! Signing up to recruitment agencies in New Zealand is another great asset to finding a job in New Zealand. Also known as a job agency or employment agency, recruitment agencies find the job interviews for jobseekers. How they work is simple. From a database of CVs (Curriculum Vitae or resume), recruitment agencies are asked by paying employers to find the perfect match for a job role. They often match a selection of CVs with the job description then send the job applicants in the direction of the employer to attend a job interview. Basically, it takes out the task of reading through countless CVs for the employer, while taking out the task of finding an employer for the jobseeker. Recruitment agencies in New Zealand are either based in an office or online, to which we’ll talk about both in this article, as well as discussing the pros and cons of recruitment agencies and whether you should use them in your job search. 5 STEPS TO JOB SUCCESS! Have a valid work visa, IRD number and New Zealand bank account. Sign up to a recruitment agency. See how below! Attend the job interview, keeping in mind the tips we give in How to Nail a Job Interview in New Zealand. Should you use a recruitment agency to find a job in New Zealand? Nothing settles a good debate than a pro and con list. Recruitment agencies are free to use by jobseekers! They have access to job vacancies that might not be advertised elsewhere. They do the job hunting for you, so you don’t have to. They’ll often work with job advertising companies and know them well, so they may provide some tips on doing well in the interview. They mostly use the credentials of your CV to match you with a potential employer, meaning there is not much scope to be matched with different roles to your past work experience. You are not guaranteed to be matched with the job you want or a job at all. Often enough, you don’t find out about a job interview until the last minute leaving you little time to prepare. Online recruitment agencies are an easy-to-use tool in your job search. It’s a way of getting your CV out there without physically needing to be in the location of the jobs, however it’s likely you’ll still need to attend interviews in person. Confirm that you have a New Zealand bank account. Once your online profile is complete, it’s usually just a case of sitting back and waiting to see if any interview offers come to you. The recruitment agency will contact you to let you know if you have been successful in obtaining any job interviews. A few online recruitment agencies you can check out are: Tradestaff, Helping Hands, SSCO, Quinn Staff Recruiters, Personnel Placements, AWF, Alpha Recruitment, Providore, Salt and Frenz Recruitment. Additionally, connect with Kelly Services, one of New Zealand’s leading recruitment agencies. An appointment with a recruitment agency office usually involves a face-to-face interview with one of their agents who will ask what type of job you are looking for and will store your CV in their database. SO SHOULD YOU USE A RECRUITMENT AGENCY TO FIND A JOB? You have nothing to lose when signing up to a recruitment agency, as they are free to use. They are a great asset to your job searching tool box, giving you access to jobs you probably wouldn’t have found elsewhere. Perhaps you’ll be matched with your dream New Zealand job. On the other hand, job interviews are not guaranteed. That’s why we stress that you should use job recruitment agencies as part of your job search and not something to rely on 100%. 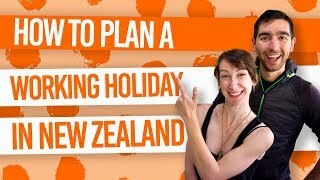 For other methods you should be using in your job search, check out How to Quickly Find a Job in New Zealand. It’s also worth noting that having a killer CV will really help the job recruiters find you a job, so make sure you follow our tips on How to Create a New Zealand CV. Also, in the end, getting the job comes down to having a successful job interview with the employer, so be sure to read up on How to Nail a Job Interview in New Zealand.